SYNOVATE: You Surely Know You Could do Better Than That,Don't You? Last night,I wrote an email to Synovate Tanzania Country Manager,Aggrey Oriwo.I am really grateful to him for responding to my email in which I enquired why their recent survey intentionally avoided disclosing which presidential candidate was leading in the race.In his reply,Oriwo categorically refuted my allegation that his organisation was playing politics in favour of the ruling party CCM.He went further to point out that Synovate is a company owned by Aegis Group,a global giant which is listed on the London Stock Exchange. However,although Oriwo explained that their recent survey primarily focused on how local media covered the election campaigns,he did not clarify as to why it lacked a question,or rather an answer to the public,on voting intentions. Well,one doesn't have to be a genius to assume that had Kikwete or CCM been leading in the polls,Synovate-and most likely REDET,would have already publicised their "findings". Now I see the logic in the saying "ACTIONS SPEAK LOUDER THAN WORDS".Synovate's silence has unintentionally revealed what the pollster is trying to conceal to the public: Kikwete is certainly trailing in the polls. 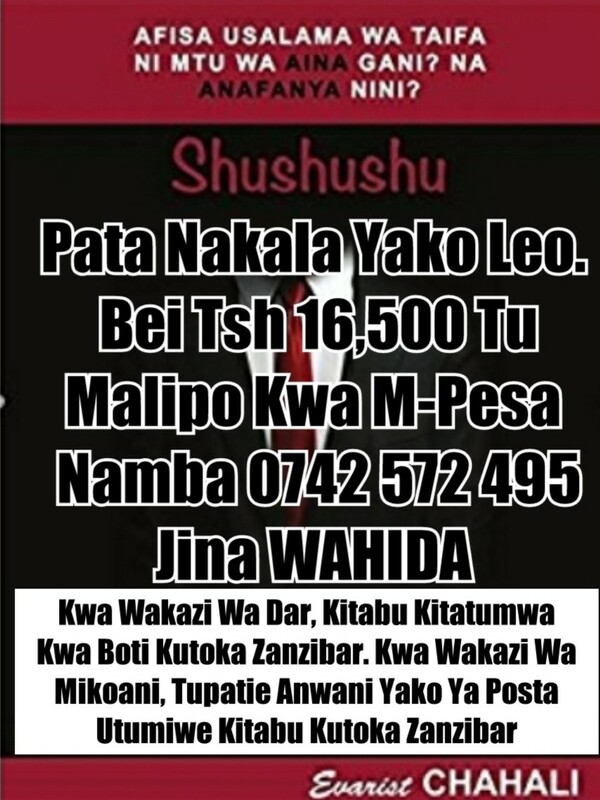 Kuua Wananchi Kusimamia Maendeleo yao Mfano Kuua Serikali za Mitaa, Kufuta Kodi?Kweli ni akili hiyo? KUNA MENGI MENGI MENGI JAMANI AMKENI TOENI HIZI TAKATAKA - MBONA KENYA, ZAMBIA WAMEWEZA? SISI TUNASHINDWA NINI? HAYA!